In order for HTTPS filtering to function correctly we must install the proxy certificate from /opt/websafety/etc/myca.der into Trusted Root Certification Authority on all workstations in our network. Please see the Install Trusted Certificates for instructions how to do it. 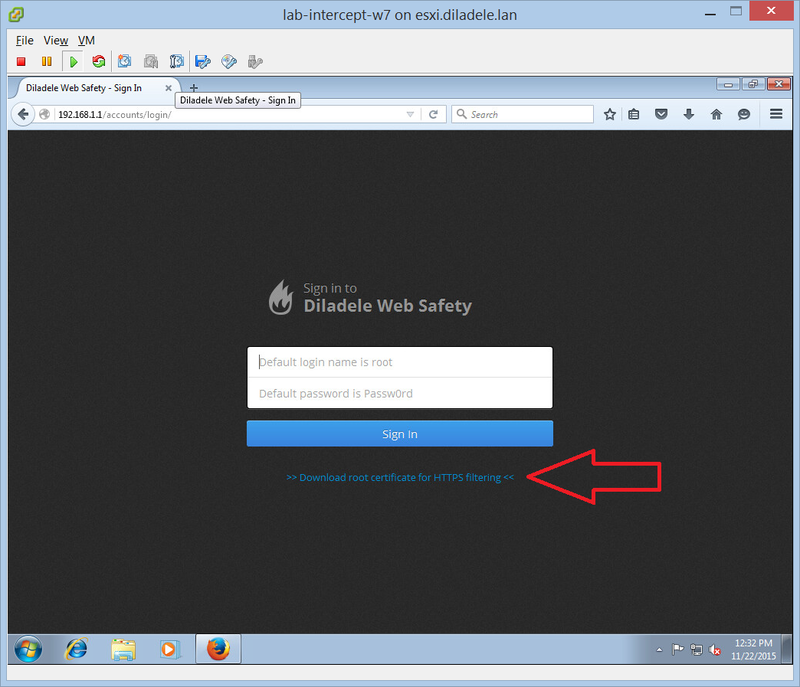 The self signed root certificate to be installed is available from the login page of Web Safety. The following screenshots show that normal HTTP requests were filtered transparently out of the box without any additional configuration. To filter HTTPS we need to enable HTTPS decryption in Admin UI / Squid / HTTPS/ Mode. 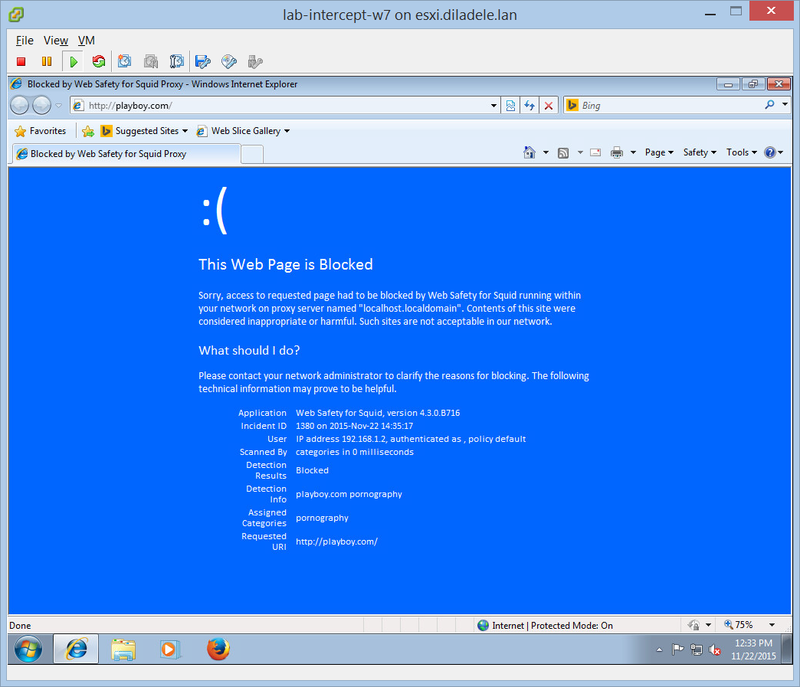 See Enable HTTPS Filtering in Admin UI article for more information. After enabling of HTTPS filtering access to HTTPS sites is also filtered correctly. Block the QUIC protocol on your firewall, otherwise Chrome will be able to bypass the transparently redirected proxy when going to QUIC enabled sites, like google.com, youtube.com, etc. To block the QUIC protocol, add DROP rules for UDP protocol on port 80 and port 443 as shown below (somewhere above -A FORWARD -j DROP rule). See more info at http://wiki.squid-cache.org/KnowledgeBase/Block%20QUIC%20protocol.